Damn you, Science!! You are evil. Re: Damn you, Science!! You are evil. Whats this TGD? I am a little confused. I have heard and seen people drinking full glass of desi ghee in rural Punjab. They faced no health problem as such. Daily intake of makkhan in all meals is still common here... It makes you healthy internally. Immunity system gets stronger. If you are able to consume your diet doing workout/physical labour, all types of diets are good. Yes.. excess of anything is bad. Kali pai, sorry to realise that you deprived yourself from such delicious forms of food. actually ghee is allowed in Paleo diets. Punjabis of course swear by desi ghee. Last edited by sarv_shaktimaan; June 17th, 2014 at 08:59 AM. I thought in your previous post you said Paleo diet doesnt encourage milk products? Is ghee considered a sub-product? yes, I was surprised too when my american colleague who has been following the paleo diet asked me directions to Indian store.. he figured out in forums online that Indian stores sell ghee half the price than that at organic food stores. It is considered that the major problems of dairy are lactose, casein, and the pasteurization process. Ghee is just the milk fat so you have avoided the dairy as such.. so goes the theory. Paleo diet is most popular with americans as it allows meats and salads. Bhangra alone is enough.. it is another form of gymnastic. Kali pai, how can you stop yourself in front of these items on dining table. 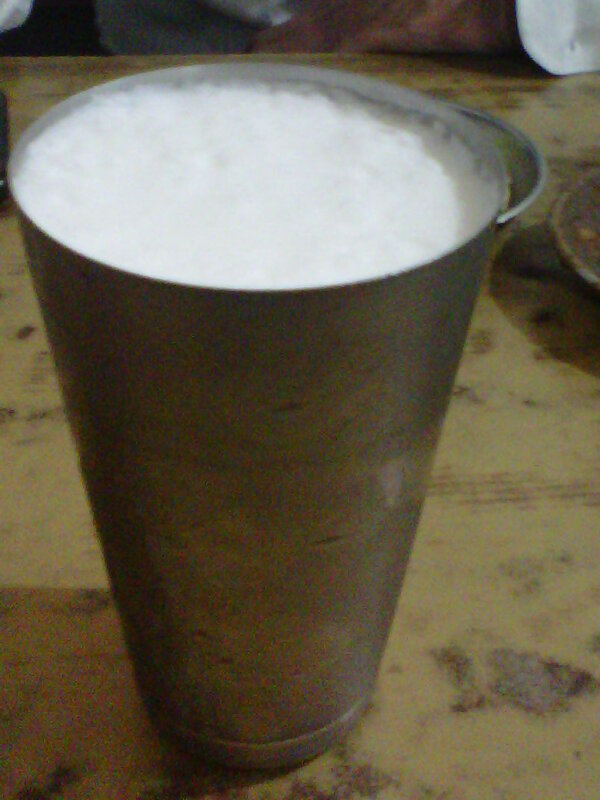 Have cold lassi after alloo parantha with makhan n you are assured of getting a deep sound refreshing sleep. How do you make parathas so thin?!! I really need to learn the trick. The trick there is to buy from the frozen section of the store.. anybody can tell those are not homemade parathas. Lol...agree. it saves so much time and effort too! But seriously, I wish I knew a pujabi who can teach me how to make parathas this well.